THE DIALOGUE OF AUTHENTICITY...Mining Your Own Gold. UNFORTUNATELY, WE DON'T USE IT. THOSE WHO USE IT EXPERIENCE MASSIVE SUCCESS. It has been said, that each person is born in a world for a unique purpose. Sadly to say many also die and leave this planet without realizing what their purpose was. What has prevented them from this amazing accomplishment? The fact that they spend their entire LIFE copying others and doing what others were doing. Regardless of your life’s purpose, career or business those who are BOLD enough to embrace their Authenticity unapologetically are those who experience the greatest success. dreams and hopes of living a reality with great success. Through, The Dialogue of Authenticity, Mining “Your Own” Gold, you will. Discover the importance of taking advantage of your uniqueness. Grasp the keys necessary for accomplishing your success. Develop a specific plan to achieve your goals and success. Overcome obstacles of self-doubt and inferiority complex. (100%) the authentic person that you were created to be. 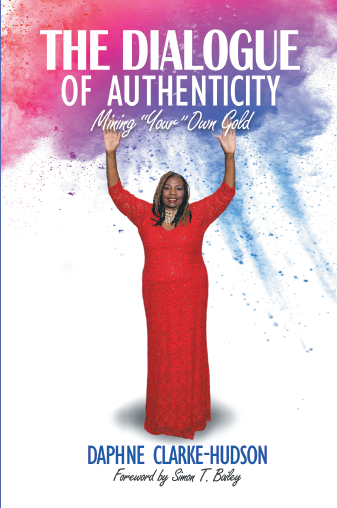 The Dialogue of Authenticity gives you the proven keys and to unlock your self-power for greater accomplishment without concentration on your competition. The Dialogue of Authenticity gives you permission to be YOURSELF without apologies. BOOK WILL BE SIGNED AND MAIL TO YOU AFTER 11/25/18. Shipping additional $6.95 USA postage only. Outside USA will require special postage.